Ah! It is March ending! That time of the year when we feel the energy drained out because of the sweltering heat of the sun and managing the finances! But hey, 2014 March did not just see the sun turn our place hot, but also a couple of interesting campaigns that carved its niche. Here are the top 5. How about doing an assignment for seven weeks, which involves extensive travelling that pays you 50k to pick your own apples from trees in Kashmir and to taste the yum jigardhanda down south to beat the heat? Sounds like a Greek’s gift? It is not! It’s the deal offered by ZOSTEL to enthusiastic travel writers who can handle photography and videography skill as well! 3 travel aficionados are picked from 60000 applicants, after 6/7 riveting rounds that tests their creative side! With “CEO” tag, (Chief exploration officer), they set to explore the incredible India and inspire people through pictures and words. Their adventure starts on mid may! For breaking the mundane idea of an internship, for opening up plethora of exciting opportunities, for veering off from the mainstream, #bestinternshipever definitely comes across as the best campaign this month! To read more about the campaign click here. This is an age when b’days do not mean receiving surprise gifts. It simply is another day to throw a bash and treat others! And, e bay’s 9th birthday celebrations did not amiss! “Way too Fab” was the theme and 9th birthday was celebrated over 9 days, which included showering ebay users with lavish gifts, coupons, frigging fun games including spin the bottle (virtual), clicking selfies! The final dawn in was the “bottoms up” that sent twitteratis crazy! The idea was to deplete a filled glass with mutilple tweets in given period. At the end of every hour, the user with the maximum number of bottoms up wins the prize. Way Too Fab was created as a special token of appreciation which allowed any user who purchased products worth more than Rs 500 on March 12-14 to spin the Wheel of Magic and take home crazy freebies including phones and tablets! A birthday is always a special day. But a birthday which managed to make the world feel special? A special edge to it right?? Well ebay, we did have a fab party this month!! Happy birthday :D :D May you stay aboard for a lot more years to come!! Traditional. Seductive. Beautiful. That’s Katrina Kaif. A coquettish demeanor towards slice. That was last year. A more intense search for the best mango to take the seduction to more serious level. That’s the hit on this year! Yes, slice swayamvar it is! To make it more alluring, slice is releasing its ads in series! Katrina has ditched her plastic Barbie looks to to embrace a more lively and beautiful look. AR Rehman’s slumdog millionaire bgm, definitely adds its n tinge of freshness. Killer looks, the plush verdant background, breath taking poses, Slice Swaayamvar has definitely enticed us! P & G has always been the brand that has encouraged and helped millions of kids across the globe. On march 20, 2014 they ran a one day campaign on their Facebook page. 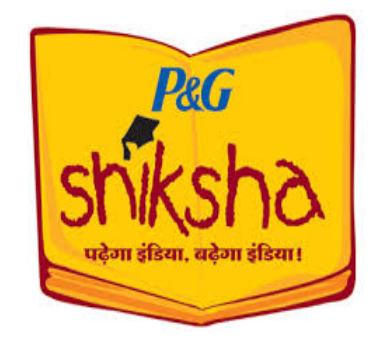 The kids at P & G Shiksha school curated content for a day by posting videos and content on the page. It did receive a good engagement count. It was a simple one day campaign, that definitely grabbed more attention than most of the other prolonged ones. Simplicity. Ingenuity. Consistency. P&G nailed it once again. These are the top 5 campaigns that managed to rule the social media sphere! Summer has just started. While we sip our tender coconuts, let’s wait for more innovative campaigns that manage to keep our spirits high. Did anything else captivate you? Drop your thoughts in the comments sections! Off I go to enjoy summer shades. Wait for the next best set of campaigns in the next month!